Zombies are all the rage right now, and it’s not surprising that they are becoming more prevalent in gaming. From Left 4 Dead, Dead Island, Last Night on Earth, and Zombicide, there doesn’t seem to be any stopping them. At least, not without several weapons in hand. 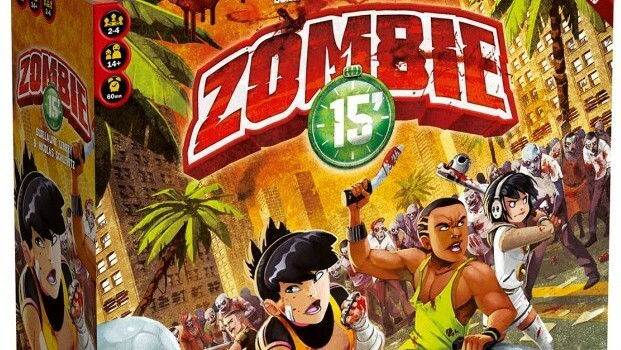 IELLO is going to be bringing out a new game called Zombie 15′. The catch is that it can be played in 15 minutes. IELLO is asking for your help though. They are starting a campaign on Kickstarter, and they want everyone to take a look at the game and give their feedback. I do like the fact that they are setting a single pledge level and planning on including anything reached with the stretch goals in the final retail game. Even the base set looks to include a lot of components. Want to take a look at the game, the rules, and everything else involved in this project? Check out the Zombie 15′ Kickstarter page, and be sure to include your feedback.